Members of Derbyshire Green Party visited the anti fracking protest camp at Barton Moss near Irlam, Salford, on Saturday January 4th. They were welcomed by a diverse bunch of campers, male and female, old and young, who remained in high spirits despite the atrocious weather and the heavy handed policing, which has seen as many as 30 arrests for peaceful protests in the last few weeks. Green Party members from Manchester and from the South of England were also visiting and the Green Party was given credit for being the only parliamentary party in England which has stated its unqualified opposition to fracking. Categories: Climate Change, Energy, Fracking, News & Views | Tags: Energy policy, fracking, renewable energy | Permalink. 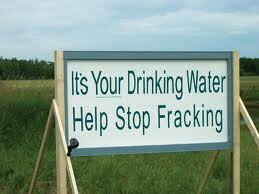 Categories: Climate Change, Fracking, News & Views | Tags: Energy policy, fracking, renewa | Permalink. Categories: Climate Change, Fracking, News & Views, Policies | Tags: Energy policy, fracking, renewable energy | Permalink. A planning application to drill for oil at Biscathorpe has been made by Egdon Resources Ltd. This company holds licenses to develop the gas-shales by fracking between Lincoln and Gainsborough, and in the North Somercotes area. It is unlikely that many will know Biscathorpe. It is an idyllic and unspoilt beauty spot in the heart of the Lincolnshire Wolds, with two fords crossing the River Bain, a lost medieval village and a picturesque church. There is much concern about the consequences of drilling for oil in this area. The impacts could include pollution of the river, damage caused by lorry traffic, noise and lighting, upsetting the fragile local ecology, and an end to the beauty and tranquillity of the neighbourhood. Furthermore, following the recent IPCC report that there has already been enough oil and gas discovered to result in catastrophic global warming, there is the wider concern of additional oil exploitation in Lincolnshire. On Sunday next, 13th October, a walk to Biscathorpe is being planned by the East Lincolnshire Green Party, at which all who might be concerned about this issue are welcome to join in. Katarina Boettge, the Green Party’s East Midlands candidate for the European Parliament, will be participating. Walkers are invited to meet at 12 noon on the green, Neve’s Garden, in Donington-on-Bain, for a stroll along the Viking Way to Biscathorpe for a picnic. There and back, the walk is about three miles. Sturdy footwear is advised, particularly if wet. Categories: Energy, Fracking, News & Views, Regional News | Tags: Energy policy, fracking, renewable energy | Permalink.